Up ahead was a Greyhound and two more trucks, including a skateboard and a bobtail. Gauging the traffic behind him, he thought “now or never” and eased over to the left lane before the next hill. He gained on the Greyhound quickly. His cab was eye to eye with the passengers, so he took a quick peek at them. Nothing out of the ordinary, bunch of people reading, a few men sleeping, a group of teenagers huddled in conversation. He slid his eyes back towards the road and accelerated slightly but just as the truck passed the half way point, a glint of red blonde hair caught Ron’s eye. Holding steady, he glanced over to the Greyhound. 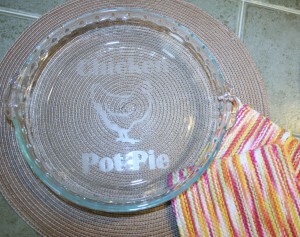 This week’s giveaway is a glass etched chicken pot pie pan and two afghan potholders and a signed copy of Moving Violations. She had been perfect. 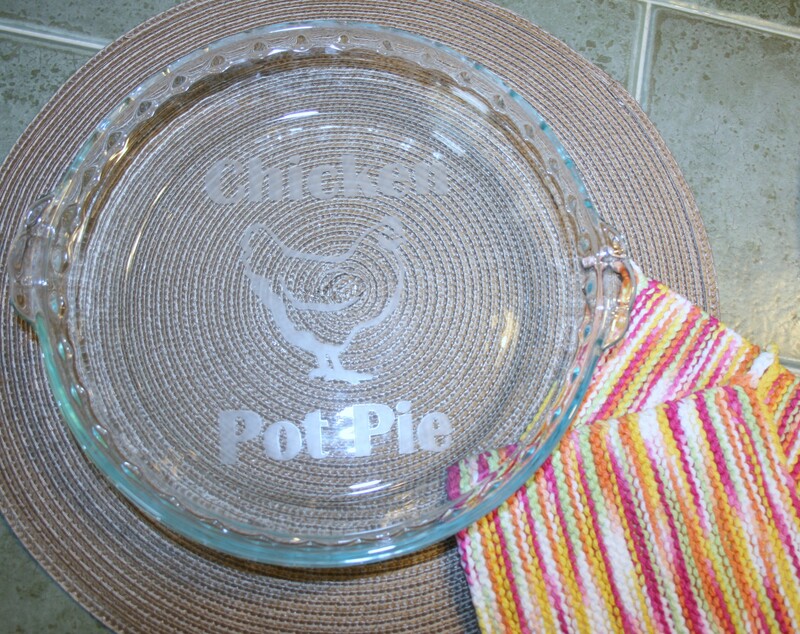 She cooked a mean homemade chicken potpie and knitted him ridiculously colored afghans. She had paid his taxes and his tickets. She had even bailed him out of jail, holding his hand in silence as they had drove back to her apartment. He could almost smell her strawberry shampoo and taste her spearmint kisses. For five years in the late 1990s, I commuted one hour each way between Lafayette, IN and Indianapolis. On those long drives, I passed countless buses and semi-trucks and wondered what they saw from their vantage point. I imagined a one-way sighting which was unrequited. In order to enter, I’m asking you to follow me on Pinterest. Or as always, you may complete any of the previous week tasks (Tweeting, sharing on Facebook, becoming a fan on GoodReads, etc.) to enter. You must leave a comment on my blog or Like this Facebook post to be entered. The winner will be announced at 9 am on June 21, 2013. Thanks for playing!